This family volunteer activity is made possible through generous funding from Disney. Description: The textile industry is the second biggest source of pollution in the world. In Hong Kong alone 110,000 tonnes of clothing and textiles are sent to landfill each year. On November 17th bring your family to an upcycling workshop which will show our children the importance of sustainable choices and how unwanted clothing can be given a second life! During the workshop each volunteer will play a part in creating collaborative pieces for under-resourced communities. From mats to potholders and keychains, every piece will be made from discarded clothing. The morning will begin with an educational briefing from our NGO partner Lizzie Bee. Requirements: This family volunteer activity is for children aged 5+ years accompanied by an adult. 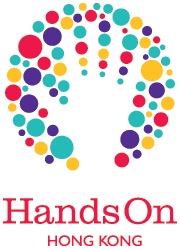 The guardian should sign up to this activity (after registering with HandsOn Hong Kong) and then send an email to hohk@handsonhongkong.org with their own name plus the name and age of their child/children and any other accompanying adult(s). Volunteers not accompanied by a child may not be accepted. Both English and Cantonese speakers are welcome to join.